Today, Kevin tells us how he met Darren Criss and Ashley Fink, actors from Glee, for the fist time. 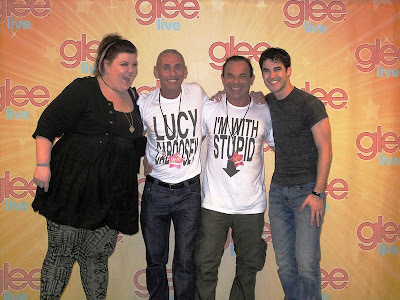 So Glee is political for us and many int the United States. When you see the signs for NOH8 in Glee it is for our struggle. We have photos with Jane Lynch and her wife Joan Embry, Matt Morison, Ryan Murphy, Chris Colfer, Ashley Fink, Darren Criss and one with just me and Cory."